Aurea is a Professor of Sociology at Winona State University. She also currently serves as the Director of the General Education Program. Aurea earned her MA and PhD in Sociology (family demography) from Bowling Green State University in Ohio. 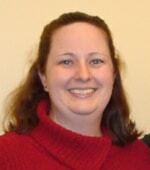 Aurea also serves on the Board of Directors for Bluff Country Co-op and Winona Volunteer Services, both in Winona.